Earn 10 € of car2go credit each time a friend signs up with your invite code. Your friend earns 10 € too. It's a win-win situation. Carsharing has lots of friends. We've joined forces with like-minded partners to bring you the best cooperation deals in town. Keep checking back for new promo codes and coupons from our partner cooperations in Germany. Sign up for XING Premium and save 9 € off the registration fee PLUS receive a 5 € coupon. Additionally, you'll receive a promo code worth 3 € of car2go credit every 2 months. 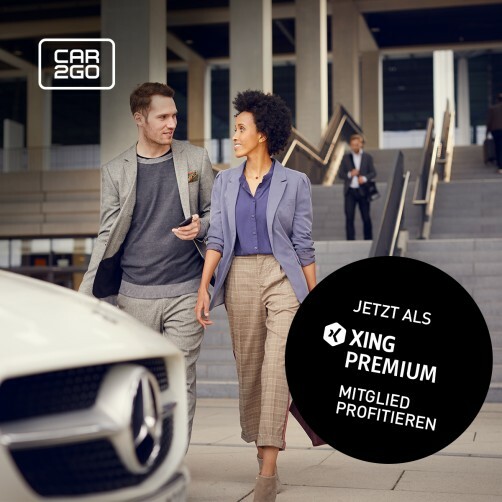 Already a XING Premium and car2go member? Then enjoy the offer right away. Each promo code is valid for 2 months. Offer valid until 28 February 2019.